Besides summer, fall is my favorite time of year. The weather is great, nature is extra beautiful, and many fruits are at their prime deliciousness. 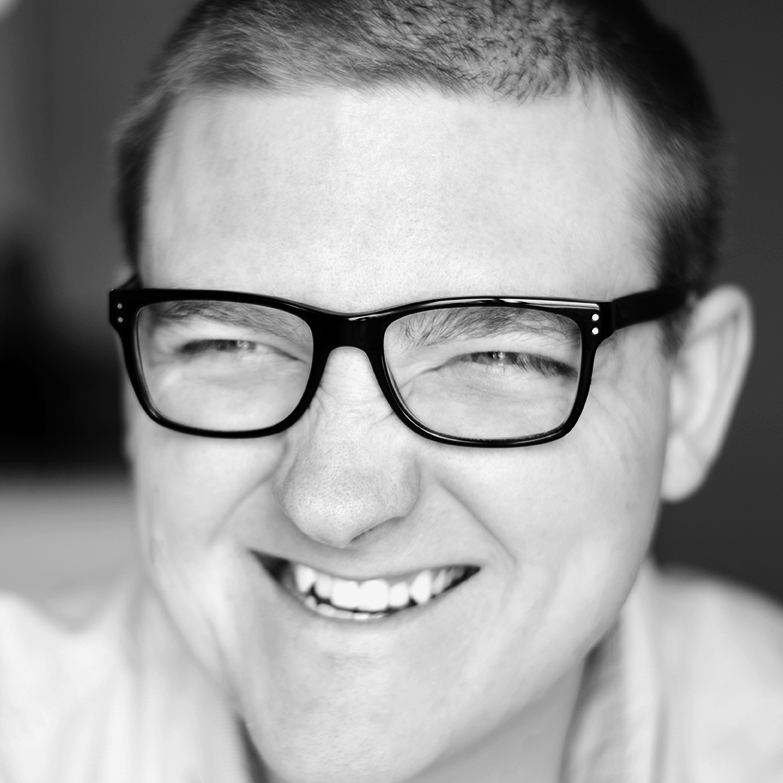 It’s the perfect time to throw on a comfy sweatshirt and head outside for an afternoon to explore. One of my favorite spots in Minneapolis is Minnehaha Falls. I’ve been craving something apple-related for a few weeks. Since I’m still a bit too scared to try making a pie from scratch, apple crisp was the next best thing in my mind. 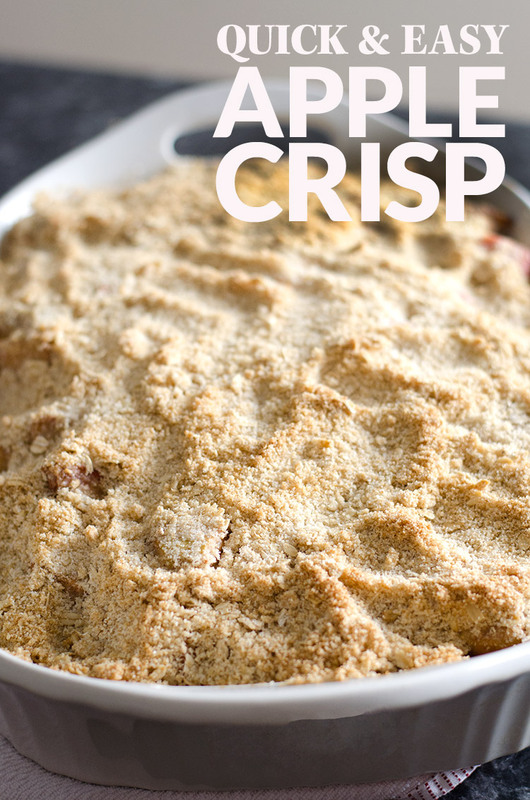 What I love about apple crisp is that it’s easy and quick to throw together, it doesn’t require many ingredients, and it serves a crowd. The zest and juices from the orange and lemon electrify the juiciness of the apples, and the cinnamon and nutmeg create that traditional apple-cinnamon taste that everybody loves. 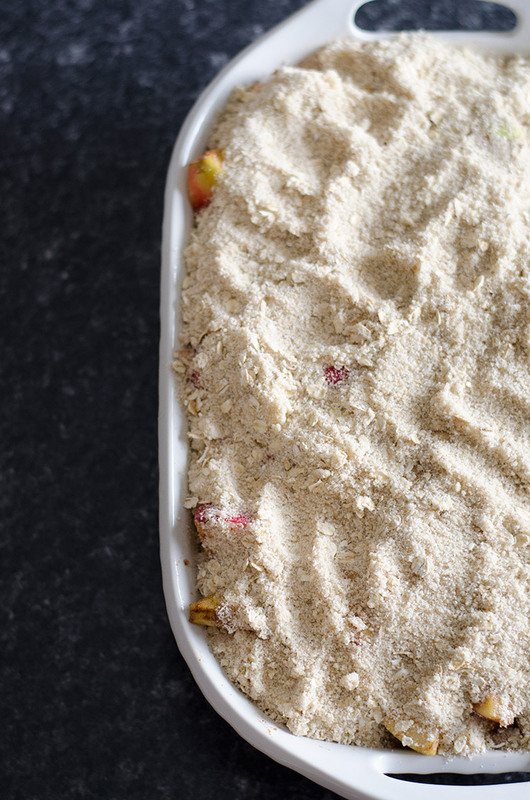 This recipe takes an hour to bake, but your nose will love you for it—the house will turn into an aroma that will make everybody head to the kitchen! I’d love to say I’m hoarding this just for myself, I’m really going to take it into work and let my coworkers enjoy it. That’s another thing I love about fall—it the lead into Thanksgiving and Christmas, a time of year when everybody is extra generous in sharing delicious food. 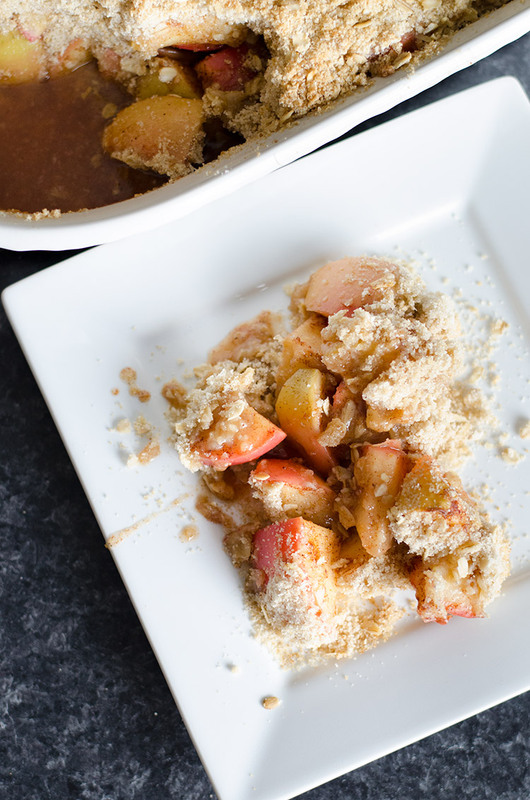 This quick & easy apple crisp can be thrown together in about 15 minutes. It tastes great and easily serves a crowd! Preheat the oven to 350 degrees F. Grease a 9"x14"x2" oval baking dish. Slice the apples with an apple slicer, and then cut the wedges in half to make rough cubes. 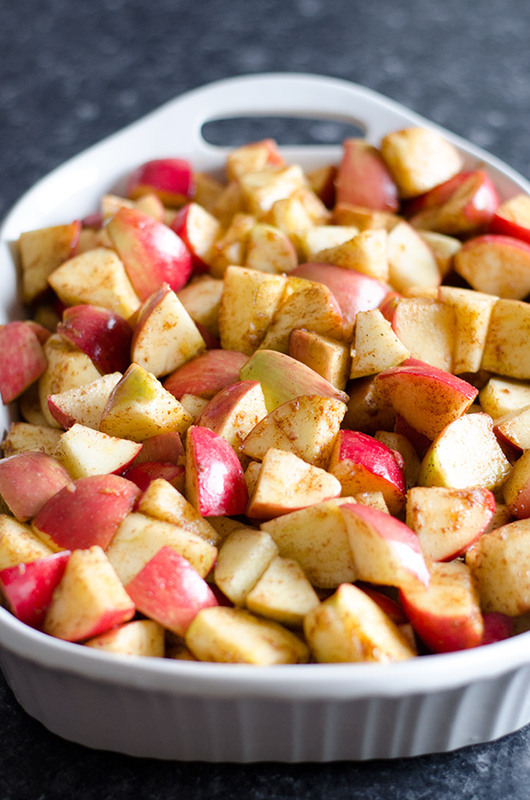 Combine the apples with the zests, juices, sugar, cinnamon, and nutmeg. Pour into the baking dish. 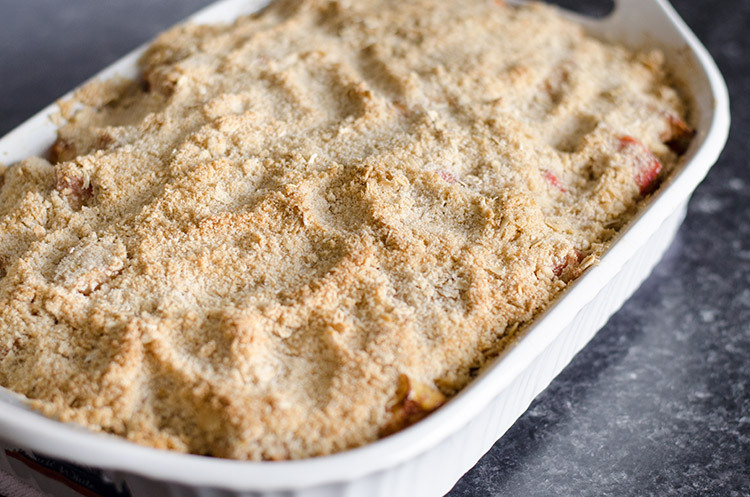 Place the baking dish on a sheet pan and bake for 1 hour until the top is brown and the apples are bubbly. Serve warm.